New Hampshire has one of the most favorable laws in the country for victims of dog attacks. Unlike most states, New Hampshire imposes strict liability on the owners and keepers of dogs when their dogs cause injuries to an individual. New Hampshire’s dog bite law is codified under RSA 466:19, helping to protect victims of canine-inflicted injuries. Under New Hampshire RSA 466:19, victims of dog bites shall be entitled to recover damages from a dog owner or keeper; medical bills, pain & suffering, and lost wages. Contact our office today at 603-935-7425 if you or a child in your family has suffered a serious dog bite injury. 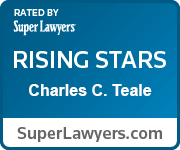 Attorney Charles Teale is an experienced dog bite lawyer and is happy to provide a free dog bite injury consultation. RSA 466:19 (New Hampshire’s Dog Bite law) imposes strict liability on a dog owner or keeper. This means that you may collect for physical injuries caused by a person’s dog. New Hampshire also applies the dog bite law to dog ‘keepers’ or persons who may not necessarily be the owner of the dog, but nonetheless are responsible for keeping the dog under their watch. Examples of these are dog walkers or dog sitters who are often entrusted to take care of a dog in the owner’s absence. If the owner or keeper is a minor, the parent or guardian may be liable in the case of an attack. New Hampshire’s dog bite law allows a victim to recover damages from the dog owner or keeper. Depending on the severity of a case, a dog may be taken into custody and its owner or keeper may have fines ranging from $25 to $400 imposed on them. Often, the owner or keeper of a dog involved in an attack may also be responsible for your medical bills, hospital fees, future surgeries, rehabilitations, missed time at work, pain & suffering, and more. In addition to protecting victims of an actual dog bite, New Hampshire’s dog-bite law (RSA 466:19) also protects victims who have been indirectly harmed by a dog. 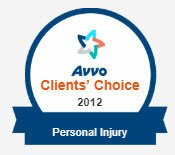 This may include injuries inflicted on another animal, damages to property, or consequential physical injuries. In Bohan v. Ritzo, 141 N.H. 210, 218 (1996), a dog owner was found liable for injuries sustained by a bicycle rider after the owner’s dog chased the bicycle rider, causing him to crash. Children are generally more at risk of suffering (severe) dog bite injuries for a variety of reasons; children are often unable to gauge a dog’s level of aggressiveness, children are smaller (causing dogs to fear them less), a child’s head, face, and neck are closer to a dog’s mouth. A child’s defenselessness is a significant reason for New Hampshire’s dog bite law to weigh heavily upon owners or keepers of dogs involved in attacks. It is very important to investigate whether a dog has up-to-date inoculations (Particularly for rabies) if you or a loved one has been the victim of a dog-bite. How do you win a dog bite case? New Hampshire’s dog bite law has been touted as one of the best laws in the country in cases of animal attacks. The law is straightforward and applies once a dog attacks or bites. 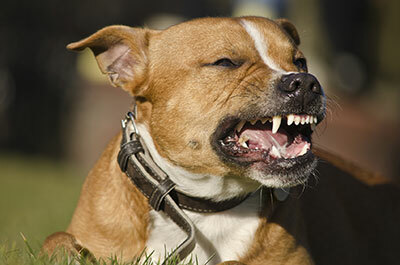 Typically, a dog owner’s best defense to a dog bite case occurs when a dog bite victim was committing a trespass or some other tort. In these rare instances, a dog owner or keeper may be freed from liability, as the dog’s act is seen as defensive. It is important to work with an experienced dog bite attorney that will aggressively pursue your case to ensure you get the compensation needed for your injury. 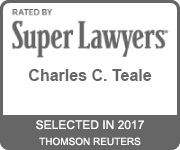 Speak to Attorney Charles Teale immediately if you or your child are a victim of a serious dog bite injury in New Hampshire. Call 603-935-7425 for a Free Dog Bite Case Consultation today!